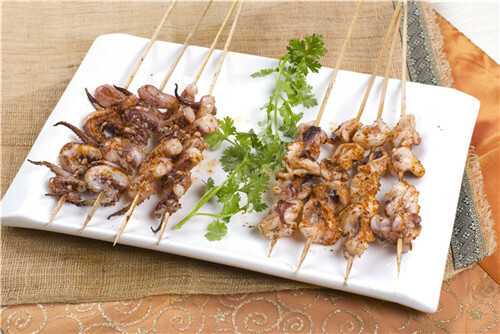 Grilled squid is the most representative variety of Qingdao seafood barbecue. It requires the whole squid to be cut into parts for roasting with chilies and other ingredients. It's very popular.